Jarrett specializes in providing his clients with highly personalized and comprehensive wealth management strategies. Every approach to his clients is done in a unique way to accommodate their specific needs. Jarrett's collaborative methods allow for the most personalized solutions for his clients from our group of specialists at TD Wealth, including portfolio management, financial planning, estate planning, business succession planning and tax effective charitable giving strategies. Prior to establishing his practice at TD Wealth Jarrett worked for a financial regulator where one of his primary duties was to assist in the analysis of a 170 million dollar institutional investment fund. Jarrett holds a Bachelor of Commerce and is a proud alumni of the University of Alberta School of Business. Jarrett was born, raised and educated in the Edmonton area and is a firm believer in community involvement where he currently volunteers his time as a board member of the Downtown Edmonton Community League. Capital Preservation - You work hard for the money you have earned, and taking unnecessary risks within your portfolio can lead to the loss of earned capital. Our goal is to find an optimal risk profile that allows for potential growth of your wealth while reducing your exposure to unnecessary risk. Established Dividends - If you are going to own a portion of a company you should be entitled to a portion of their earnings. Investing in established, stable, dividend paying companies is a strategy that can help grow your wealth while insulating against volatility that can be associated to the stock market. Diversification - Determining optimal exposure levels within an investment portfolio is a fundamental portfolio construction strategy. Aligning your capacity to take risk with a portfolio model is one of the most important stages in designing a personalized portfolio for our clients. Jarrett's diversification strategy is applied on multiple levels including security type, sector concentration and position concentration. In the initial meeting with prospective clients Jarrett focuses on the financial scenarios that are top of mind to them. Discussion revolves around their primary financial concerns while determining which potential services could be of value to them. After initial contact, a summary of the topics discussed at the meeting will be sent to prospective clients within seven days. During the follow up meeting, Jarrett collaborates with his prospective clients to align their financial scenarios with potential strategies and discuss any concerns they may have. If a decision is made to become a client, we will complete the necessary paperwork and discuss next steps. Three months after becoming a client, we will have a meeting to review the contents of your quarterly statement. Confirmation of your wealth management strategy will occur and we will set a time for our next face to face meeting. TD has built a reputation on solid foundations of best practice which, according to Global Finance Magazine, has led it to become the safest bank in North America and one of the safest banks in the world. 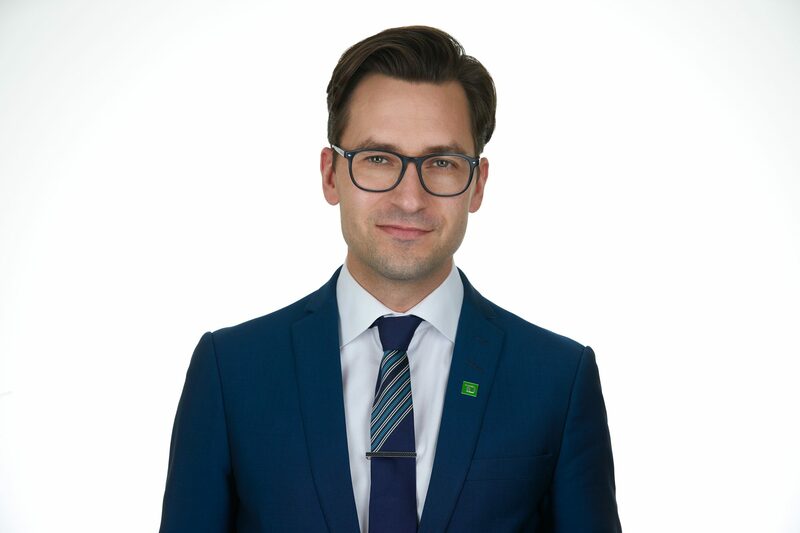 In addition to prudent management, the TD brand has differentiated itself among Canadian banks by providing an unrivaled client experience revolving around unparalleled level of service which has led to multiple customer service awards from Ipsos Reid.